I want to see a Britain where nobody is defined by the circumstances of their birth. To deliver this, public services need to reflect the country that they serve. I believe that the Civil Service’s greatest single asset is its people. Some of the most brilliant people in the world join the British Government, and I know excellent people working throughout the whole service. To remain the best in the world, the Civil Service needs to respond to both the challenges and the opportunities of our times. We need to deliver better services in a time of tight budgets, and recruit and retain the best people. To govern modern Britain, the Civil Service must become more like modern Britain. One in three young people in Britain today are from working-class backgrounds, as are 23% of graduates from the top third of universities – yet, just 4.4% per cent of successful applicants to the Civil Service Fast Stream are from working-class backgrounds. A report from the Bridge Group found the Fast Stream was taking on fewer working-class recruits than Oxbridge and most elite universities. This isn’t acceptable. So, today I’ve set out my plan to equal access to and progression within the Civil Service. Inequality matters. Countries with higher income inequality have lower levels of social mobility. It’s harder to climb the ladder of opportunity if the rungs are further apart. We're going to put more rungs in that ladder. We will be rolling out name-blind recruitment across the public sector to make sure that jobs are rewarded on merit alone. The NHS and Civil Service are on target to bring in name-blind recruitment by 2020, and we are actively working with other public sector organisations, such as schools, councils, the police and the judiciary, to implement the policy. We’ll also be publishing the pay ratio of the salaries between the median and highest paid employees. This “inequality index” will allow Parliament and taxpayers to hold the Government to account. Over 200,000 apprenticeships will be created in the public sector by 2020, of which over 30,000 of which will be in the Civil Service. We’ll be responding directly to some of the points in the report about our Fast Stream programme by taking graduate recruitment outside of London, establishing a regional assessment centre and putting new terms in place that make it easier for civil servants to live outside London. And we’ll be writing to 200 of Britain’s major employers and urging them to take a similar approach to inequality. We have got to change. It’s a tribute to the Civil Service that the senior leadership are committed to this agenda. After all, evidence shows a more diverse workforce is a more productive, more dynamic one, which makes an organisation stronger. This is the Civil Service I want to see in the future. We have made good progress on race, gender and LGB&TI issues, but we need to do more to tackle inequality among lower socio-economic groups. This isn’t just a numbers game or a box-ticking exercise – a modern society needs to be diverse and representative, respecting and valuing differences to make sure our work reflects the needs and experiences of the public we serve. Improving diversity won’t be easy, and it won’t happen overnight, but it’s the right thing to do. Every person in Britain should have the chance to go as far as their talents will take them and it’s up to all of us to help them achieve this, whatever their roots. Thank you for all your comments on this blog. A number of the issues you raise were addressed recently, here, by our Chief People Officer Rupert McNeil, in response to comments on a separate blog about social mobility. Why will it take almost 4 years (which will no doubt begin to grow as time progresses) to get name-blind recruitment in place? I will take what you have said with a pinch of salt. The civil service is riddled with inequality as far as pay is concerned. How is it you can have two people side by side, same gender, doing the exact same work, on the exact same grade and yet one is earning several thousand pounds more than the other ? You cannot even address this simple situation which is just a matter of numbers. How are you gonna tackle equality and diversity issues on this kind of scale when you can't even resolve pay issues that resulted from getting rid of the grading system? I have recently been promoted through the BDDP. When you ask how can 2 identical people sat next to each other & doing the same job be paid a wage which differs by thousands. The answer is simple - experience. I have none in the area and my colleagues on my team have up to 15 years experience. They have to mentor me and guide me - so, I have no issue with that aspect - that is not discrimination. Discrimination is the lack of BAME staff above HO level, the harsh Attendance Management regime brought in that results in potentially bullying behaviour towards staff with disabilities, the PMR system where AA/AO/O Grades have more than the 'guided' range and yet all bands above that have far, far less than the guided distribution - because O/HO/SO managers are threatened if they don't reach (or exceed) the guided percentiles! If you want to tackle discrimination - do so. What you are discussing is cost cutting by removing the previous pay acceleration that rewarded commitment. Also, the Equality Act does not recognise being 'Working Class' as one of the 9 protected characteristics - so, that is not discrimination. With several years of pay freezes and now negligible raises - all Civil Servants will soon be Working Class including G6/7s - that will tackle the issue for you by itself. I have been at Officer grade for over 10 years. I am from a Customs background. I work alongside an IO (which is my grade too now on my payslip) who has been at that grade for less time than me, yet their basic salary is several thousand pounds more tham mine. Neither of us have had extra progression points awarded, it is just that they were originally in Immigration. How is this equality? That, Lorraine, I agree is unfair. It strikes me that the whole Civil Service should be pay graded identically but I do know that Officers in each department often have different pay scales for corresponding jobs. With more and more re-jigging of departments (like B&C heading to DWP), these disparities will continue. Social Class was initially in the Equality Act in draft form but a cerain political party insisted on it being taken out. The whole point of increments was to recognise that those with greater experience would receive greater pay. The fact that increments have been abolished means that inequality will continue until the minimum becomes the new maximum. People need to consider carefully whether it is likely this will ever change and draw their own conclusions regarding the oft claimed Civil Service is a good model employer. Good to see a focus on reducing inequality, and particularly on making sure our most senior ranks better represent the diverse public we serve. I want to work somewhere where people of all backgrounds have a fair and equal chance of making it to the top. The report referred to in the article states that it's not pay that's putting people from lower socio-economic backgrounds off joining the Civil Service - it's a lack of awareness about the benefits of working in the Civil Service (job security, lots of different opportunities, relatively meritocratic, you can work pretty much anywhere in the country, good work-life balance). 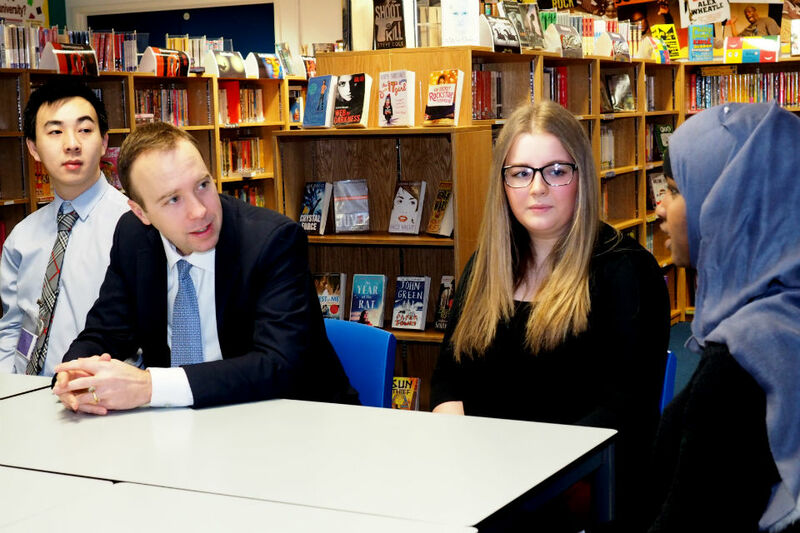 We need to shout about the benefits more, and hopefully this will encourage more young people who currently don't think the Civil Service is for them to give it a go. Sometimes we can indirectly discriminate by things such as holding interviews in London at 9:30 AM for national based roles. Candidates from the North have to pay for an expensive train tickets and hotel rooms on the chance of getting a job with no expenses being paid. The price I am paying for interview for a national based role is over £150 on the cheapest method of travel and cheapest hotel. Not to mention losing a day of the weekend traveling down the day before and a day’s leave for the day of the interview. For those on lower incomes this is around 10% of their monthly take home pay it not just kids that are struggling to get on it is once you’re through the door it is difficult to move on . Departments are increasingly using 'Expressions of Interest' (EoI) instead of the 'Civil Service Jobs' website to advertise for and fill vacancies on level transfer and temporary promotion. For EoI, the 'name-blind' applications rule does not apply. 'EoI' is not defined as 'recruitment', but in reality, it is that in re-branded form. There is no standardised guidance for EoI to ensure transparency and fairness when selecting candidates. I noticed huge differences between and within Departments on how EoI is applied. The potential risk of bias and discrimination when using EoI therefore seems very high. May I suggest that EoI is reviewed across Whitehall and action taken to 'equality-proof' this apparent loophole. Gabby has made a good point. The civil service surely now has the technology for interviews, at least initially to be held in regional office by video link. Well one on doing name blind applications, but what about removing the diversity forms also. There is not a requirement for the forms until you have been selected and successful for the role applied for. Also there is unconscious bias, when you attend interviews. How are you going to deal with that obstacle? The diversity form is not used in the selection of the candidate, it is anonymous and is separated and is used to monitor proportions of populations in an overall aggregate manner. Without statistics on representation of people from minority groups, gathered from these forms, how are we even to know the size of the problem or how to create a solution? As a single mother who is struggling financially, I find that being a civil servant does not pay enough to cover basic family costs. The civil servants who can devote most time and energy to their work are those who are fortunate enough to have another source of income e.g. homeowners who have made money on rising house prices. Unless the civil service pays enough for the poorest in society to be able to live without financial stress, it cannot claim to be designed to welcome them as civil servants. I think it's very positive to see this type of information and feedback from the Minister - and encouraging to see the large numbers of appenticeships to be created, including in the Civil Service (we are sometimes surrounded by 'doom & gloom' with regard to our futures, but this article is quite the opposite). I'm very interested in the Fast Stream programme, but also find it intimidating in some ways. I'm now in the 50+ age bracket and have a real desire to progress further, but when I reviewed the Fast Stream application process (the on-line option), it seemed to be very much directed at younger people (as per the images used) and graduates. I feel that I would be out of my depth, even if I were accepted onto the programme, as it is many years since I obtained my qualifications (too many!) and I don't think I would be competitive in the Fast Stream environment. I welcome any attempt to make our public services more diverse and representative and to break down barriers to inclusion, however, I'm very cynical and suspicious when I see a government and cabinet (and largely opposition also) that is white, male stale and almost exclusively public school educated. How do we make our government representative so that can be flowed down to all our public services? I agree HMRC believes that by complying with legislation i.e the equality act it is being diverse. It is not! Diversity involves inclusion of areas not covered in law "going the extra mile"
Not to mention the fact that thousands of civil servants are paid less than the Living Wage and depend on Working Tax Credits to survive. That's an inequality the management never acknowledge. What I want to know is when the Civil Service is going to move ALL assets out of London. This whole article is about addressing inequalities in the public sector but seems to focus more on recruitment and promotion. What it fails to mention is the proverbial elephant in the room - the fact that many within the civil service are disgruntled that their counterparts based in London earn several thounds of pounds more per year for performing the same role simply due to the fact that they happen to live in London. This is akin to the pay inequality between males and females of the past. We are all aware that overall costs within London are higher than anywhere else in the country - but this applies to estates too. Surely it makes shrewd financial sense to rid the civil service of all costly estates within London and relocate to cheaper areas of the country. It will dramatically reduce the estates and expenses costs and allow an increase to create parity of pay across the entire civil service. I believe that one of the main reasons for this inequality is awareness. Young people from lower income backgrounds need to be made aware of the CS Fast Track before they can apply. How will you get a more inclusive Civil Service by moving more roles to London, where only wealthy people can live anymore? Aside from Fast Track which only benefits a relatively small number of Civil Servants, consideration should be given to those in roles such as administration/support. I am confident that many staff would like to leave administrative roles and take on other pro-active roles within the Civil Service, but are hindered by perceptions (unspoken and likely subconscious) that some people are ‘do-ers’ and some people are ‘supporters’. Undoubtedly many are happy in administrative roles, but for those who are not more active interest in the professional ambitions of individuals would help to remove the firm ceiling (and 4 windowless walls) which prevent movement away from support roles. Personally I have been self-funding higher education, and strategically taking roles in my interest area – volunteering for any tasks which will provide the experience I need to move away from administration. Fortunately I now have a very supportive manager. I have, previously experienced a manager who refused to allow me any training other than that which would make me the perfect administrative assistant, and explicitly told me that my self-funded higher education must not impact my support role. Such attitudes seriously impede internal progression. Looking around me now I would be surprised if the majority of administrative roles are not filled by women without a higher education background (statistically likely therefore to be from a lower socio-economic background also). If diversity among Senior Civil Servants is what is sought, this would be a good place to start. In relation to the points the Bridge Report makes about encouraging SEB candidates to the Fast Stream I think the most important recommendation they make is to have a direct link straight in to the Fast Stream for Summer Diversity Interns. Most other big graduate recruiters have these links from their summer programmes to graduate jobs. The interns will have already done online tests for their SDIP place, and surely if the interns perform well for 8-10 weeks over summer that is a better indication that they are suited to the Fast Stream than a day at an assessment centre? Too many acronyms. What do they mean? Well, it is about time that discrimination based on class is recognised by someone in power. This and wealth inequality is the scourge of this nation. I find it hard to believe though that only 23% of young people are working class. The definition of social classes must have changed radically since I was at college. I am working class, will you being doing anything about my appalling pay after many years of cuts, so I can catch up on them middle class fast streamers? Inequalities in the Civil Service are increasing at a great pace. The closure of regional offices such as HMRC and BIS in Sheffield mean that equality is quickly being eroded by removing opportunities for people in cities such as Sheffield to join/remian in the Civil Service. The chance of a working-class graduate from 'the North' joining the Civil Service is now lower than it has ever been as to join he/she will likely have to move to London where it is almost impossible to live off a EO/HEO salary. In my opinion this is not the sort of Civil Service we should be moving towards. The Fast Stream and the diplomatic service along with it, are still perceived as an old-boys club. One of the most important things that needs to change is the perception of them as being cliquey in-group, which unfortunately isn't helped by a small minority of fast-streamers themselves who are judgemental of those who didn't go to top flight universities, even if it is only meant in jest (I have heard the comments with my own ears). I have 2 degrees from good universities but never even considered the FS for that reason - it just didn't seem like it was for me because I am from a poor background in the north of England. The FS simply isn't even on the radar for a lot of graduates, unless they have friends, university alumni or family who are already within the Westminster system. In response to Gabby's comments one option to consider would be for the civil service be thinking about video interviews for those people in the regions that are based in London and vice versa. Appreciate this all depends on IT accessability nd it working! What measures will be used to find out the socio-economic background of candidates? What measures have been used to find out socio-economic backgrounds of current civil servants, so that change can be monitored? I consider myself to be from a working class background, but I don’t know how my civil service employer would know this. Even as someone with an excellent degree from a Russell Group university, it is hard to get on. Job descriptions are now so ridiculously specific that they are clearly written with someone in particular from the same team in mind, and no scope for a change in career direction from a fast learner with high potential. What happened to the idea that most civil servants are generalists and (for example) that a HEO is a HEO no matter what your department? Another thing would be much greater use of video conferencing instead of the requirement to travel and stay overnight in most higher level roles, which precludes many mothers of young children from applying for promotion. S, there are some positions and even some ministries where generalist can survive and thrive but in the increasingly siloed, and technical ministries they are few and far between. Many exist in the rarified atmsphere of Whitehall. My view, formed over a great many years is that the generalist grade equiavlency disapeared early last century. MoD is probably the most technical of all the ministires and has a very large number of degree qualified people doing jobs that most of their equivalents grades in other places would not understand or be competent to carry out but we are paid on the same scales as all other civil servants. I would not, by training, be able to forecast the weather or the economic outcomes of the Chancellor's bugetary ideas but there are some roles in other ministries which which I could fulfill at my pay grade with a little extra training. That said, the opportunities that I have had to develop my skill set and to read for additional degrees in service to keep up to date, which form part of the culture in MoD, do not seem to be replicated elsewhere if the comments in this thread are a reflection of other ministries' practice. 'S' is so right - a large proportion of jobs on offer are not worth applying for because they have clearly been written so that only one person on earth could apply for it; it is very demoralizing when you know the job in question could be done well by any person (a generalist) with a reasonable amount of intelligence and an O'level education. That applies to 90% of MoD jobs. Positive discrimination is discrimination by another name and just as distasteful. If the government wants to see a Britain where it's citizens are not defined by circumstances of birth, why did it not only introduce university tuition fees but more recently totally cut maintenance grants, further prohibiting the less well off from the chance of attending. Exactly!!! I am a civil servant, but not fortunate enough to have come from a background which could support me through higher education - I stupidly though that once working for the civil service maybe I could pursue a degree but no - no funding, so I am effectively barred from progressing in my job as I need degree level education to move on. No amount of CSL courses are going to help me with that, and the very people who continually turned down my application for funding for a degree course had their own degrees paid for by the tax payer. Very motivational. Name-blind recruitment will not solve the problem. If anything, it will increase it by removing conscious bias! People from lower socio-economic groups have consistently had less opportunities throughout life - less ability to demonstrates the core competences of the Civil Service. So long as we continue to take on merit, those who didn't have extra-curricular activities available to them will still lose out on jobs. It is a noble concept, but miss-guided to solve a perceived problem. To solve this problem, we need to ensure all children from all backgrounds have the opportunity for a large variety of extra opportunities, such as team sports, projects, access to hobbies and so forth from an early age in order to build and demonstrate the skills needed to get a good jobs. If everyone has the same oppotunities, then only those who apply themselves will be worthy. If the Rt Hon Matthew Hancock believes that the Civil Service’s greatest single asset is its people perhaps he will get around to addressing the inequalities in pay for those members of staff who have been denied progression to the maximum of their pay scale. It is very unfair to pay someone thousands of pounds a year less than their colleagues when they are doing the same job and doing that job to an aceptable standard. I had an extemely negative experience with the fast steam and this unfortunately led to me removing myself from the scheme and mainstreaming into a role closer to home. I am from a small city, went to the smallest university in Scotland and am certainly not wealthy - so this did not stop me entering the scheme. It was another diversity aspect that made the scheme difficult for me, the fact I am a single parent. Although I asked if my first rotation could be closer to home due to financial and child reasons - I was given a first rotation 400 miles away, when the exact same job roles were available closer to home. This definitely tainted my experience with the scheme, although I do understand this was not deliberate (sometimes we can all get caught up in processes). I did move, and done very well in my position - but the social isolation was too much for me and my 1 year old son and I came back home. I love working for the CS, and I am very happy with where I am right now. I still have the amibition to do what I need to - it will jst take some more time. I also know, due to my circumstances, some practices and policies have changed since my experience, and the scheme is more open to giving posts closer to individual's home who require them e.g. carers (adult and child) and of course (as always) those with mental and physical disabilities. We are definitely doing better, this move will hopefully make us exemplar in showing theprivate sector that ability and motivation is what a good graduate (and employee) has, not their personal circumstances and not their schooling or financial history. We do well, but glad to see we will do better!! We need to make sure positive discrimination isn't used e.g. "well everyoneelse is expected to do it" - as I have heard that a few times. Some well thought out comments here. Can I also add that bright, well educated applicants for the CSFS (maybe independent school and Russell Group Uni pathway) will be very likely to out-perform an equally bright applicant who has come from an inner-city state school and a decent University. The former route is better funded and so it is able to give it's students so much more (than just a quality education) in terms of the contacts, skills and know-how that helps youg applicants suceed in the 'higher-end' job market. Until our state education system, and the way that we support poorer families in general are substantially improved, a very large section of society will, to some degree, be disadvantaged in comparison to the 'privileged' minority. I suggest that by 2025, we will have evidence to show that blind recruitment will have been only a very limited success in opening up access to the CSFS, to wider parts of society, unless our pay eventually becomes so degraded that just about anyone who can hold an i-phone will get in! How do you know that 4.4% are of 'working-class' background? Do applicants have to state the income of their parents these days or is it based on assumption or postcodes? I find categorizing people into the salaries of their parents rather backwards and utterly discriminating. Just because some people attend elite Universities does not mean they are sophisticated or better educated; and just because 'others' attend regular Universities (or 'only' College) does not make them inapt or under- privileged. I believe the fundamental concept of hierarchy, its related arrogance and false pride in the UK needs to be given some thought (and why it still exists). I was wondering why the 'inequality index' compares highest pay with the median pay. Why median and not mean or 25th percentile, for example (or even the lowest pay!)? I think the public should know how low the pay is for some, especially now our T&Cs are being eroded (and thus not balancing out the low pay as they once did). I'm in the 50+ age bracket as well & also want to progress. Unfortunately it appears that talent schemes are not aimed at our age group. Why has it taken decades to state the obvious? I think we should call it the Slow Stream instead of the Fast Stream. Whilst it is good to see any activity that would move closer to equality for all in the CS there are still some huge hurdles that need to be overcome if you have a disability. I work in an office outside of London and have specialist equipment that i need to use every day. I can apply for other oppotunities however they involve travelling to other sites which i can no longer do, sitting in long meetings that I find extremely painful or having to ask for more breaks or shorter meetings which are often looked at with great distain. Unfortunately, whilst i would like to progress the only way seems to be to work long hours and undertake large amounts of travelling. My disabilities prevent me from travelling and the pain and medication make it difficult to work and travel for longer than my conditioned hours. It seems a constant fight to get equipment supplied or updated and often when it takes months if not years to obtain. It is often frowned upon when you have to keep asking when you are likely to get the kit that has been recommended. This also means that staff have to make do with equipment which is totally unsuitable and causes discomfort and severe pain. People from cities all across the UK contribute to Central Government coffers and the diversity of the workforce, but the movement of staff into Regional Hubs will leave many towns and cities without a presence and work for thousands of Civil Servants will be lost. This not only restricts opportunity for jobs in the Civil Service for 'working class' candidates who can't afford to live away from home, but it also parts company (I'm picking my words carefully here) with large numbers of working class Civil Servants who have provided exemplary service over the years. I wonder to myself how this will make a more diverse workforce and what the Government really thinks diversity means? Surely a workforce that comes from a handful of places would be less diverse as it doesn't represent people from different parts of the UK. Another consequence of Civil Service jobs moving to central sites will be the decimation of many local economies as there will be fewer jobs in service industries around those sites. On a positive note (because we all have to learn to find one), with a spring in my step and an I'm all right Jack attitude, I can assure your readers that I live in a place designated to be a Regional Hub and I can therefore kick off my well heeled shoes, sink into my expensive leather sofa and absolve myself of any duty I may feel to stand up and be counted. I would like to tell my colleagues who work in regions of the country where the Government plan to close offices down to look on this as an opportunity to plant some vegetables in your garden, buy some chickens, take up living the good life and learn to build some resilience. I would like to tell you that, but unfortunately my social conscience and my moral standpoint refuse to let me do that. Remember readers we are members of the public too, your MP is your elected representative in the Government so if you don't agree that moving jobs to a handful of sites equates to a regionally diverse Civil Service then write to 'him' or visit ‘his’ surgery and tell ‘him’ what you think before it’s too late. I wonder whether in 2016 the lazy classification of "working class background" to which the Minister refers has any validity. The "young people" he mentions were probably born after 1997, and for them the social stratifications epitomised in 1960s kitchen sink dramas are irrelevant and out of date. For example a lot of the people who might once have been classified "working class" are now sole traders/entrepreneurs. Extract from the Bridge report "The Fast Stream population accounts for just over half of one per cent of the Civil Service" so does any of this have any relevance to most of us? What is meant by working class? If your father was a coal miner but you graduated from Oxford with a double first should you now be excluded from the fast stream because being an Oxbridge graduate means you are too posh? How does anyone know what class any of us in the main stream Civil Service are? It does not feature in any of our job applications nor should it, and it is never a feature in our daily work. We are all working civil servants. I am here because I could meet the competences and do the job not because I am white/black/posh/SEB/male/female etc etc. I don't like any of this you are a victim therefore you need special get ahead privileges denied to the mainstream. Personally I would scrap the fast stream and let them take their chances with the rest of us. If they really are talented (what ever that may mean) it will stand out. Well said Black Dog, I do hope you get an answer to this question as I have worked in the MoJ for 2 years and my salary is being eroded because I can't keep pace with rising prices and the erosion of working tax credits. The last so called Opportunities to be offered in the Contact Centre Directorate constituted applying for a pay grade but with no concrete details of exactly what the individual jobs were or even where the positions would be located. How is anyone with an invisible disability who has had to fight tooth and nail to gain ANY kind of in-work support, supposed to assess the viability of any such vacancies given their limitations and access to transport? It's great to read this and I certainly welcome the report. As an Ethnic Minority Director in the civil service I must say I was very surprised when my daughter, who is about to get a 1st in business from a good university did not get accepted onto the fast stream. Especially given she did a one year industrial placement at a Government Department. I'm struggling in my discussions with her about why civil service really is still a viable option. Whilst I am encouraged by this report, I feel it is too little, too late for some of us. You state that you believe the Civil Service's greatest asset is its people; yet collectively as a Government you have supported the higher echelons in HMRC, to put pretty much all Civil Servants from Dover right across the South coast down to Lands End, out of work in the next 10 years. Not to mention other areas across the country where the area of population is so vast, that others in HMRC have no chance of getting to the "Regional Offices." I joined HMRC 27 years ago and made a conscious decision to make a career in the civil service and work through to retirement, but that choice is no longer mine, thanks to the recent announcements. I am certain that many HMRC employees, whose future has been wiped out, will agree with me. Consider how much experience you will losing, but then perhaps that's not what you want from the future of HMRC. So you could say that we are being discriminated against because we can't physically travel to the new offices, unless we are prepared to add between 25-30 hours a week on our travelling time. Where is the work life balance in this? As regards pay I was a Band O for 11 years before I was promoted last year. During that time I was ALWAYS several thousand pounds behind other O's doing exactly the same work as me. I could agree that at the start of a new grade there is a difference in experience, but not after 11 years. This is direct discrimination because other members of HMRC civil servants are on far more pay than others doing the same job with the same experience. I'm no legal expert but I would imagine there is a point in law on this type of archaic practice. And if anyone says I had the choice to leave, you are right but I've actually enjoyed my career in HMRC, in the main, even though I, and many others are subjected to this aspect of discrimination. I would agree that HMRC has made some strides in the aspect of direct discrimination such as race, disability, age etc. However they still have a long way to go, and they definitely need to put more emphasis on indirect discrimination because there a great number of civil servants who are experiencing this every day. Maybe you need to be in the know to know about the fast stream in the first place. If your social circle knows of the fast stream then you are more likely to let your social circle aware of it. I never knew of the fast stream until I entered the Civil Service, I never saw anything anywhere at the Job Centres, Colleges or Job sites. Maybe fact finding needs to take place. Why do people from working class backgrounds/BME/50+ not apply and when they do why are they not successful? This is exactly what the civil service needs isn’t it….more rhetoric and another ‘newbie’ with utopian beliefs! But the name-blind recruitment proposals do not go far enough; civil service application forms or procedures should no longer ask questions about ‘personal’ attributes such as colour, age, disability or sexual orientation and so on, these questions should be removed entirely from application forms. The focus should be based primarily on experience and ability for the job. A fair job or promotion application system - is one in which applicants ‘personal’ attributes are not declared and therefore ‘singled out’ as being in a ‘minority’ or ‘disadvantaged’ group in the first place....Question: why is there any need to ‘distinguish’ or place certain people or employees in groups (e.g. BAME, gender etc) if you are an employer claiming to be operating a fair system for all? I have not heard of private sector industry operating such specific practices? Acceptance for jobs, promotion, rewards and such like should be based on individual merit irrespective of a person’s personal status or attributes. The interview process - should be carried out by persons independent of the applicant or their immediate management to avoid ‘favouritism’ or the opposite happening. Ironically, a person’s immediate management still have the ability to affect, influence or perhaps even block any member of staff’s application if they so wish to do so (directly or indirectly) so this ability whatever form it takes should be eradicated. The civil service needs to become a ‘one culture’ organisation, not a ‘fragmented culture’ like it clearly still is. I rather think that the ‘level playing field‘(John Manzoni) will have a few bumps in it yet still for some time to come! The 'Personal' attributes questions are there to see if the system is working or not. They are not available to the recruiter, just the HR department to see if policies like name-blind recruitment is making any difference. I believe that the collection of such 'personal attributes' data generally is more than just an 'indicator' of how something is working and believe it can further influence future HR practices, which may or may not in turn lead to discriminatory practises e.g. as in the Band 5 promotions and Cross-Civil Service Positive Action pathway band 3 a 4 posts mentioned above. It is clear that current practises are not working! I assume that’s why the issue has appeared on the agenda? If the system was by way of a one stop shop for all where everyone followed one specific procedure, without having to declare ‘personal attributes’ (which are not important or integral to the job) - but simply and only their abilities for the job then there would be no need to collect unnecessary data just on the basis of seeing whether a system was working! The government introduced higher fees for university students. The Government then introduced the graduate starting salary which was to be adopted by all institutions when employing graduates. You need to get things right from page one sir in order to move to page two. Graduates are having to compromise in order to earn a living. I think the graduate salary should remain as it is set when recruiting graduates to join civil service. If you can afford to transfer people across and match their salary then, you can manage to pay graduates what they deserve, apprentice and all other level as deemed fit. Once this simple step is surpassed then and then will you move to complex matters such as equality and diversity. A further point!...the minister says...”I want to see a Britain where nobody is defined by the circumstances of their birth”…...then over the next two paragraphs goes on to ‘define’ and discuss others as ‘working class’…. For me, Mr Hancock’s ‘old school’,‘Victorian’ rhetoric comes over as totally uninspiring and predictably what you would expect to hear from members of the current administration…who fresh from election success, have clearly been whipped up into a frenzy of utopian fantasy! "I believe that the Civil Service’s greatest single asset is its people"
Really? Why not try treating them as valuable then? Pay freeze since 2010 (forget the 1%, it's been swallowed up by pensiion and NI changes). By 2020, when we could possibly get a proper payrise, we'll be about 25% down in real terms. BTW, are you enjoying your extra 11% from last May? The Minister's first sentence is "I want to see a Britain where nobody is defined by the circumstances of their birth". Obviously to reach this position, the dismantling of the aristocracy and Royal Family would have to take place- right? The lives of people in all sectors of British society are dictated by their personal circumstances. From top to bottom. And that phrase, 'from top to bottom', is itself a damning indictment of the centuries long structure of British society. Does the Honourable Member for West Suffolk realise that the vast majority work hard and do not need to feed such platitudes. I am sure if the Government was to make a positive change to our Terms & Conditions (and not necessarily a payrise), instead of continuing with their obsession to a race to the bottom by making them worse (More negative changes to Redundancy terms to be announced in the 2016 budget), then I may feel that I not a second class citizen like I do now. I very much doubt that the British Civil Service is the best in the world any more. To suggest that it is creates the danger that we rest on laurels we no longer have. In these strange times where plumbers and hairdressers are earning more than junior doctors and teachers do we really need to worry about 'helping' a tiny minority of the working class (whatever working class means). In my city this week I've seen cleaning jobs advertised at £14 an hour. I'm a graduate working in the civil service earning £8.41 an hour. I'm not saying cleaners shouldn't earn £14 an hour, they should, just that some other people are earning far too little. The reason for some people earning too little can only be that some other people earn far too much and that bad decisions are made. If the government really want to make Britain a fairer and more equal society then pay scales need some serious work. Tinkering around with a handful of working class people isn't going to do anything. Sarah, people are paid what they are worth, what people are willing to pay for their services; the going rate for the job. CC are not perceived by MPs or the general population as being worth much; and in this day and age where everyone has a degree, being a graduate is pretty irrelevant and should not impact on salary. I was at an Ethnic Minority Steering Group event on career progression earlier this week. I learned from one of the sessions that the BAME proportion of primary school pupils in London is now 40%, substantially higher than any other region. 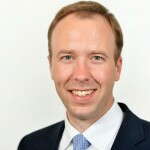 If there's one thing that will kill any chance of the civil service representing the ethnic diversity of its population and being a genuine engine of social mobility (if there is such a thing) for members of a BAME group, it will be the wholesale withdrawal of the civil service from London. Many of these live with extended families, with parents, grandparents and children under the same roof - a roof that will have been paid for long before the current London property boom, and a roof from which they cannot reasonably be expected to move. The advantage of this is that housing costs won'#t be an issue for many potential London-based recruits. If the civil service is to be a truly regional and diverse organisation, it must continue to be represented in London. Contrary to what has been claimed here, it has lost far too many posts already, often to inaccessible rural locations. I myself have been threatened with relocation away from London three times in 32 years - and been threatened with dire consequences (like summary dismissal from the service) if I refused to move, which I have done 3 times. In none of these cases was a move of home objectively necessary, and following the Meade-Hill and NUCPS v The British Council, 1995 case, objective justification - judged on a case-by-case basis - is a legal prerequsite for enforcement of a mobility obligation. Dave, I agree. When the civil service was allegedly the best in the world, it paid its staff salaries and benefits that would be unaffordable in the austere times in which we live now. The Australian civil service is probably the least bad. It has a Merit Protection Commission to which you can appeal if you are not progressing in your career. The federal government is largely centralised in Canberra, so you can buy a home there and not have to fear that you will have to move every few years. Having visited Australia twice, I know that it has some of the most evenly distributed wealth of any developing nation, without the continued austerity drives which have seen the average person's income cut so deeply, as has happened here over the past decade. Positive discrimination is in fact unlawful in this country, section 158 of the Equality Act refers. Not sure how or why some civil servants continue to be misinformed about such matters. When you see people drafted into positions and promoted without interview, or at least by the very people who have already decided that they are to be promoted to does not surprise you at all to see that Oxbridge candidates are more likely to be fast tracked. It is accepted practice of the incumbent majority of people in senior management roles to network among themselves and promote from an established social class. This is always going to be the case until their is wholesale change or people start biting the hand that greases their palm. I would tend to disagree with the gentleman when he infers that higher levels of income inequality results in lower levels of social mobility; this is a red herring when put into a CS context. It is easy within the CS to reduce high levels of income inequality as exposed in the “inequality index” (this buzzword must have been introduced by consultants after a long and expensive study); all you do is reduce the pay of the highest earners. Money saved; job done! The prime reason for lower levels of social mobility in the CS is poor pay/T&C, lack of meaningful support services and organisations focusing solely on money ahead of social consequences. Unfortunately all 3 of these are applicable to the ‘modern’ CS. So if you really want to address inequality address these 3 existing issues with the current workforce and then you can focus on future recruitment and retention. Sadly, on reflection, I think that the only thing I can actually agree 100% with the gentleman is his final paragraph. Other than that the rest is empty rhetoric, meaningless statistics, buzzwords and spin. Whilst I agree with the majority of the comments made here wholeheartedly, am I the only one who considers personal attributes being equally as important as qualifications when recruiting? A candidate can have the best qualifications in the world, but if they don't gel with existing members of a team, the team loses cohesion and therefore efficiency! I total agree that circumstances of birth shouldn't be a barrier to success. But I do believe that if you have the ability and determination to succeed, you probably will. Just ask Richard Branson! What we should be doing is recognising the skills and abilities of the people already in the CS and recompense them accordingly. I'm one of those in the position of sitting next to a colleague, doing exactly the same job, on the same grade, but she's earning more than me, just because I fell foul of the cessation of incremental payments (and being in the 50+ group I'll probably never reach the top of my grade). Together with the further erosion of our terms and conditions, I'm sure that's why new people are being enticed into the CS with the 'carrot' of Fast Streaming. Martyn - I wouldn't mind him not responding if I thought he was actually reading them and taking on board what is being said. I agree with the views of many contributors on this forum. It's great that there is this openness to try and make our Civil Service great as it should be by addressing the causes for setbacks. What I have seen so far suggests there is a lot of work to be done if Rt Hon Matthew Hancock is serious about seeing a Britain where nobody is defined by the circumstances of their birth. As long as the authorities continue to tolerate unfair practices as evidenced by the Fast Stream scenario, management style that is non-facilitative, non-consultative and non-democratic; believe you me we are going no where. What's being done to facilitate secondments? Who do I get in touch with to arrange a secondment?